Our hunting trip rates at Blackwood Hunting & Recreation, which serves Hayes County, Nebraska depend on the game you are hunting. 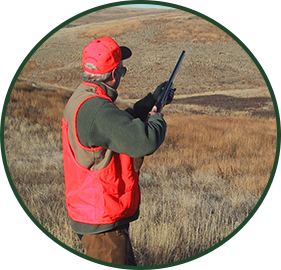 Hunters ages 12 through 29 must have on their person proof of successful completion of firearm Hunter Education while hunting with a firearm or air gun. We offer special rates for youth hunting, ages 15 and under, who are hunting with a parent or guardian. Contact us to find out more about our discounted rates for youth. We also have accommodations for your hunting dog. Hayes County is one of the best places for pheasant hunting. For just $150 per day, per person, you get three full days of pheasant hunting, housing, and maps. You can book one of our three-day Merriam turkey hunts for just $300. If you get more than one turkey there is an additional cost of $300 per turkey. Each hunt includes maps of the turkey hunting area and housing. We have many turkeys in the area.